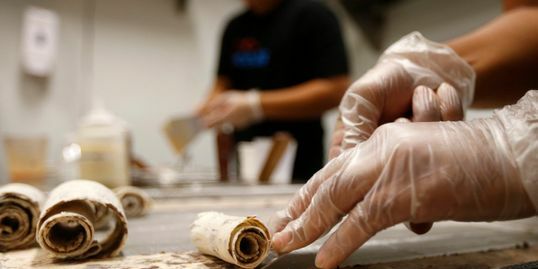 We at Twisted Creamery represent the best and most innovative rolled ice cream. Our constantly changing flavour board and fun atmosphere will have you coming back to try every combination! Here at Twisted creamery we offer the most fun and twisted flavours, from rose and blueberry to cookies and cream. We also have the twisted flavour of the week that is customer created and voted in by you every week, with the chance to win 500$ if you have the most popular flavour! Copyright © 2019 Twisted creamery - All Rights Reserved.